Is Queen Elizabeth Mad That Meghan Markle Wants Baby Sussex to Be Vegan? Baby Sussex‘s arrival could be any day now. Ahead of the baby’s arrival, the soon-to-be parents are busy making decisions about how they will raise their child. 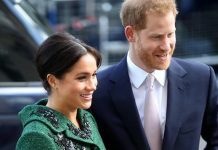 Sources close to the couple revealed that Prince Harry and Meghan Markle will raise their firstborn on a vegan diet. 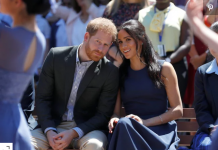 This diet is consistent with Meghan’s values and is in line with how the couple tries to eat. But is the queen mad that Meghan wants to raise her new baby vegan? The Duchess of Sussex has been a long time activist for animal rights. The former actress believes in the fair and ethical treatment of animals and backs up her beliefs with her actions whenever she can. While filming the television show Suits, Meghan reportedly refused to wear fur. She is also opposed to wearing real leather and chooses to wear vegan leather instead. In addition to her fashion choices, she is also conscious of bringing new animals into her life. The duchess has adopted two dogs from animal shelters and adopted her last dog, Bogart, at the urging of fellow animal rights activist Ellen DeGeneres. Both Harry and Meghan try to stick to a healthy diet. For Meghan, this means eating primarily a plant-based diet during the week. Some of her favorite foods include sushi, steak, and chicken, but she tries to limit these meals to the weekends. The animal activist incorporates a lot of fruits and vegetables into her diet and loves to drink green juice. She once told Delish that green juice is like a medicine to her and that she drinks it as a coffee replacement. She also likes to eat a lot of salad and loves almonds, watermelon, and acai bowls. Many people may not realize it, but being vegan goes beyond simply eliminating animal products from your diet and treating animals with respect. In fact, there are many products on the market that many people likely don’t realize contain animal products or harm animals in their production. So, for many, it was likely a surprise to find out that the duke and duchess painted their new nursery with vegan paint. There are a few reasons a paint may be considered non-vegan. Many paints contain dairy products or beeswax as a binding agent and, shockingly, some paint is tested on animals. Additionally, the paint may be colored with crushed animal or insect parts. The couple chose to use an Eucalyptus infused vegan paint in a neutral color to decorate the room. The paint will have a relaxing scent and features antibacterial and antimicrobial properties. But before you start thinking about painting your room with Eucalyptus infused paint, be sure to check with a professional, as some types of Eucalyptus are not safe for children. Is Queen Elizabeth II mad that Baby Sussex will be raised vegan? The answer to this question is uncertain. 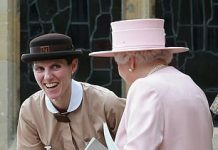 While our guess is that there are many more important things the queen has to worry about, sources say that she is worried about how the child’s lifestyle will affect a longstanding family tradition. Many members of the royal family are avid hunters. Harry, himself, has hunted with his family on numerous occasions and the queen is also a strong supporter. So it seems that the queen could view a vegan diet as something that would prevent the child from participating in events with other members of the family. Ultimately, the queen will likely let the parents decide how they want to feed their child. It’s important to respect Harry and Meghan’s parenting decisions. The queen will likely find in the scheme of things, it is nothing to spend her time angry about.